Our selection of pens includes colors like black, blue, and red, which allows you to create a color scheme for important documents. 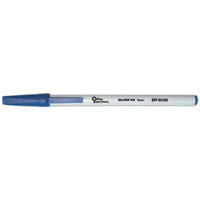 Additionally, you can choose from fine point pens for precision jobs or medium point items for everyday tasks. Regardless of the type of business you own, pens and pen accessories are sure to come in handy. For related products, check out our business travel accessories, laminators and accessories, and copy and printer paper. If you're wondering where to buy office impressions pens and accessories, we have a large selection of office impressions pens and accessories for sale at the lowest prices.